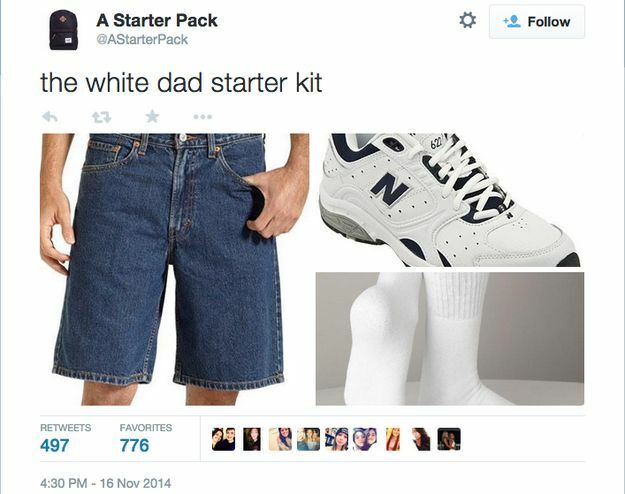 They say you’re not a journalist unless you have a drinking disorder, a real man if you pass on a beer, a school teacher unless you hate children and so on, and while these claims are open for discussion, there is no doubt that you’re not a dad unless you wear white New Balance shoes. That one kind. Forever. As memes are all about relatability, someone noticed this natural phenomenon and it became an internet meme, a hidden gem. One that is better than most of the popular ones, and one that therefore shouldn’t be so unknown. 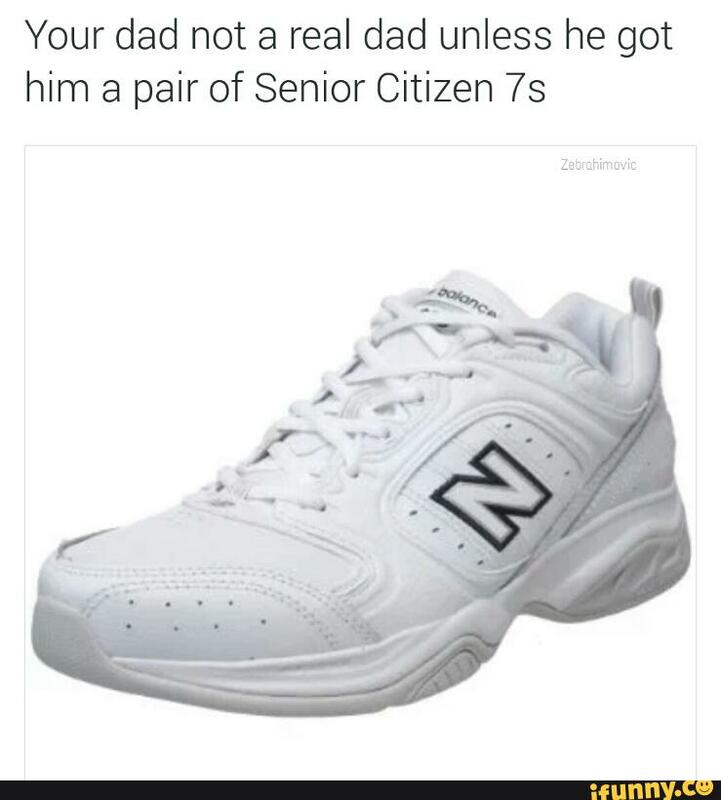 The white New Balance sneaker is the most recognizable piece of dad uniform, like a stewardess’s hat, the doctor’s white mantel, waiter’s apron, freshman’s campus map, and cop’s donut crumbs. 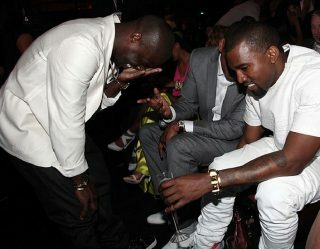 So every person needs to accept that their dad likes his sneakers more than them, that’s probably the reason he sticks with one brand, one type for all of its adult life. 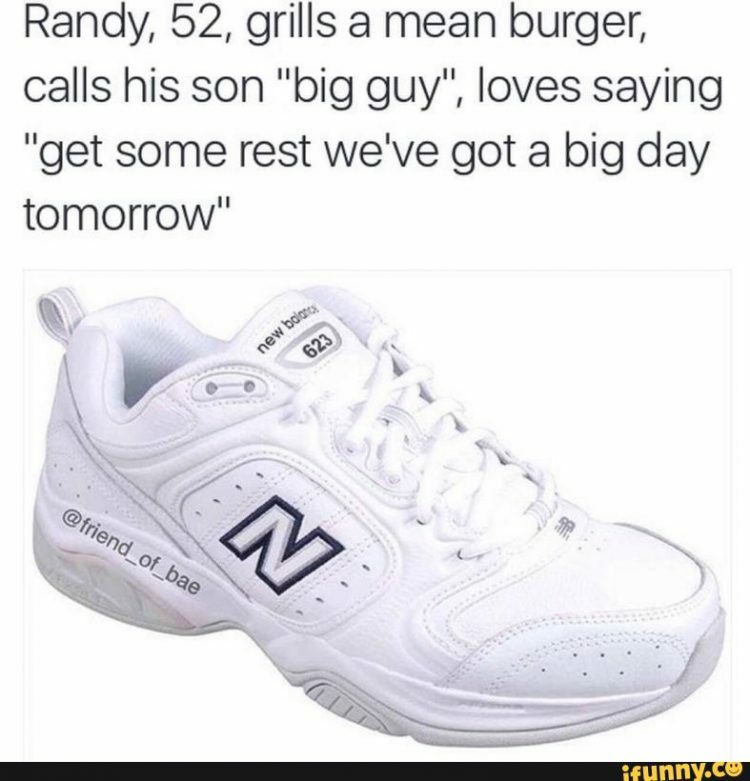 Across this globe, not just in the United States, dads wear these bunky New Balance shoes and live for the days they get to utilize their sons as a free workforce. That’s the main reasons guys tend to want to have boys, rather than girls, as that is like signing a contract that grants you slaves for 12 or so years, and that is a lot of yard work being done. South Park’s Randy is the spirit animal of these dads worldwide. Some say the difference between a father and a dad is that dad is there emotionally and physically for their children, but we say nah, the real difference is that fathers wear dress shoes, and dads wear New Balance sneakers. 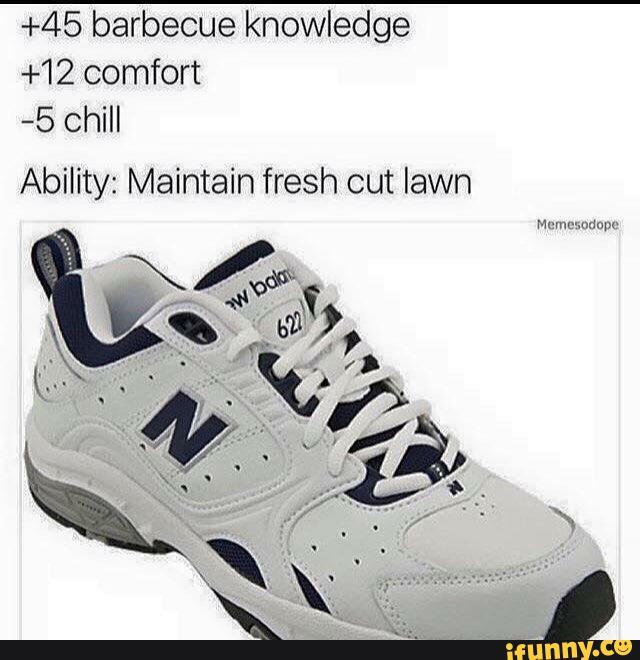 As there is a lot of people that are not able to understand the dad sneaker internet meme, so this is an RPG explanation for them, the only way two conflicting species can understand one another, dads and sons. The New Balance shoes also gives you 75% chance to tell play on word and pun jokes. If you meet a married man in his thirties or older and he’s not wearing these shoes don’t trust that man. If you see a girl in her twenties rocking them, ask her how her weekly game of yahtzee went and whether her four cats are good. 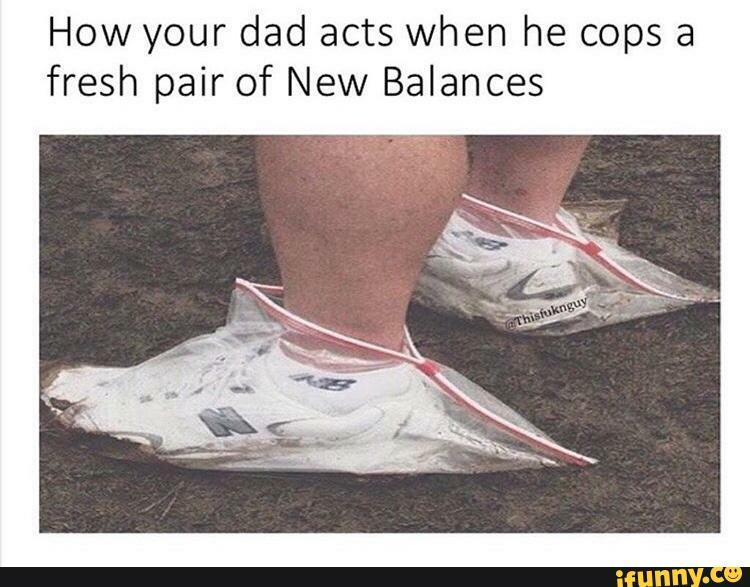 The New Balance shoe has its partners in crime, those pieces of clothing that complete the ultimate dad look. The must-haves of every suburban area in the United States, the adult male equivalent of a little black dress. This is the final form of the suburban dad, the last step of the evolution powered on hamburgers and watching TV shows whilst thinking they are movies. 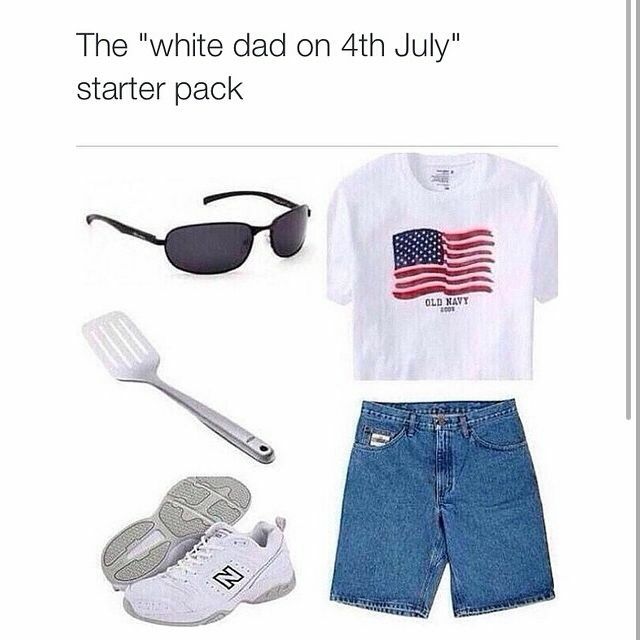 A spatula and his New Balance kicks are what internet memes and YouTube are to you. 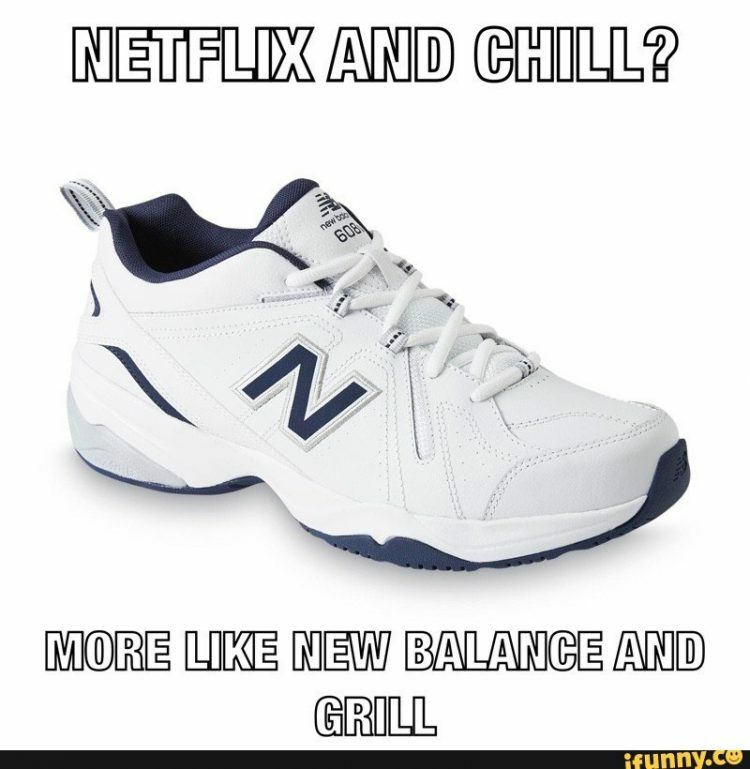 New Balance and grill was supposed to be the official slogan of Ashley Madison, but they stuck with “Life is short, let us ruin yours”. 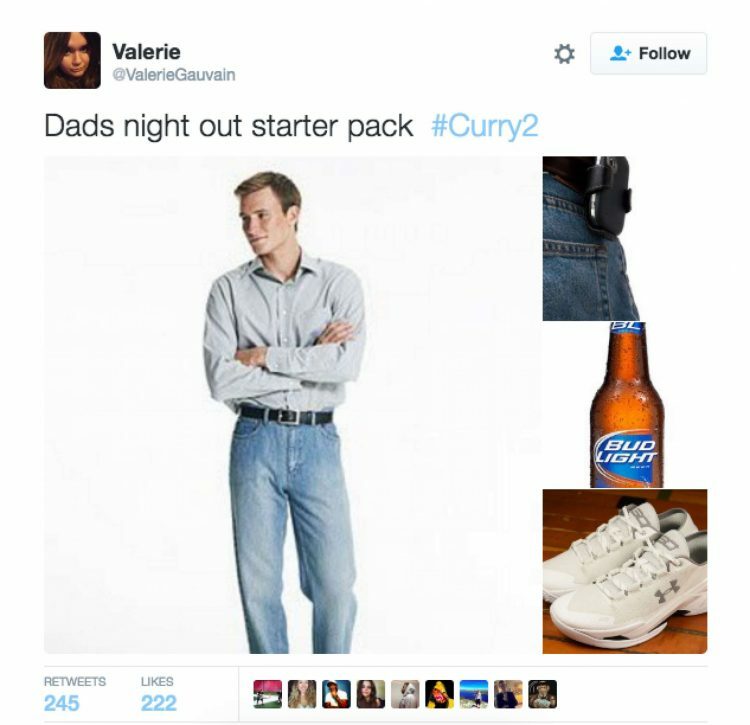 Even though it’s not the most popular meme, the NB dad sneaker evolved like a big boy meme and all thanks to NBA superstar Steph Curry. 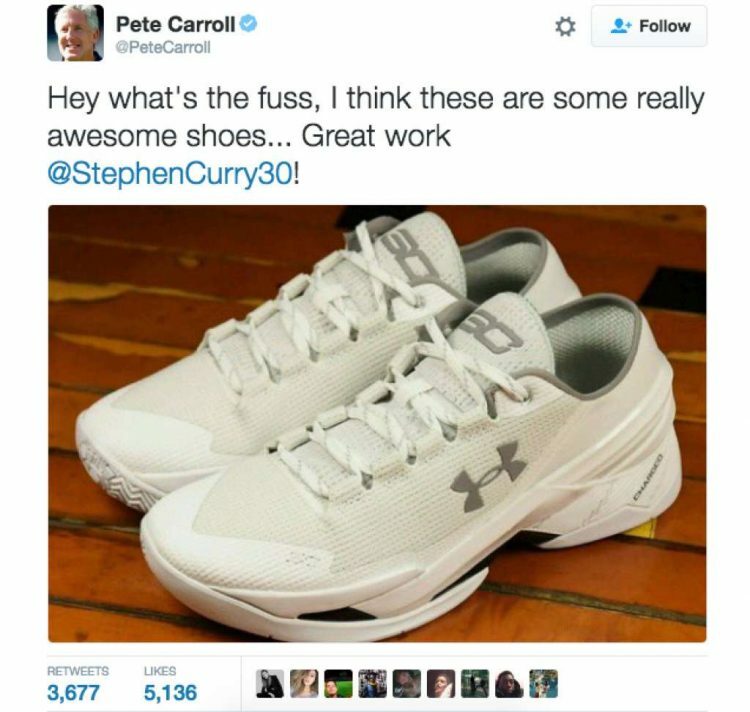 Under Armour released a basketball shoe under Curry’s name, but the internet found it oddly familiar. Right here, as Pete Carroll’s profile picture you see the unofficial face of the New Balance shoe, the one you were visualizing all the time we mentioned suburban dads in this article. And the Curry’s 2s are its closest relative. 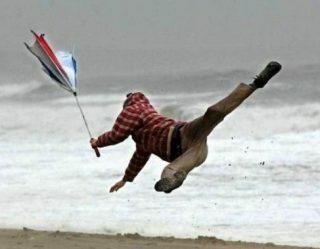 How high would you rank this awesome internet meme? 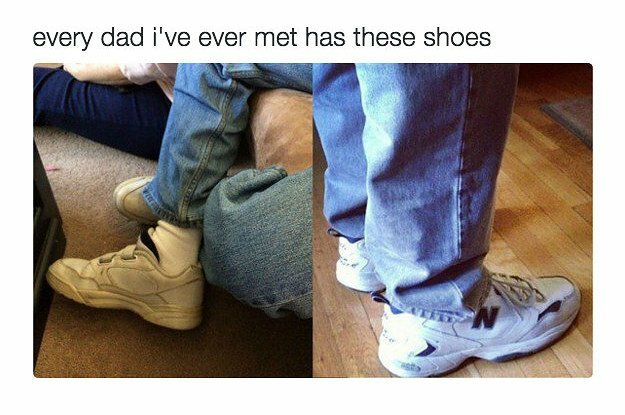 And remember, this is not one of those overused ones, so add to the pool with your own originals or send photos of your dad rocking his kicks. 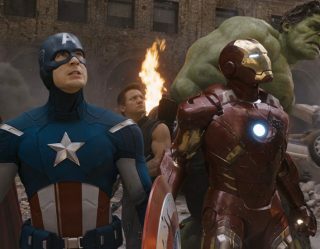 Roses Are Red, Violets Are Blue, This Awesome Meme Article is For You.